Tavira is a charming Portuguese town that is situated on the eastern side of the beautiful Algarve. 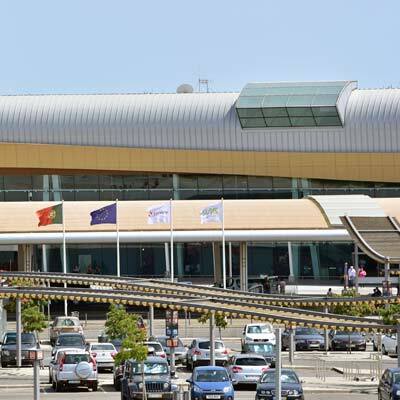 The main international airport of the Algarve is Faro Airport, and this is located 35km to the west of Tavira. 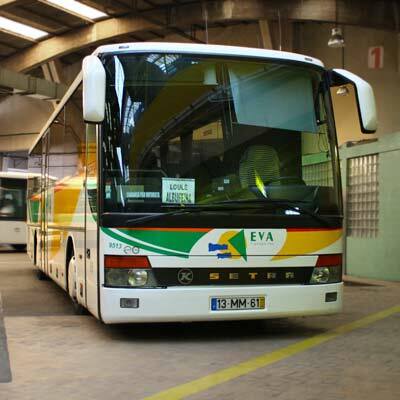 There is public transport which connects Faro Airport to Tavira, but it can be a very long transfer, as services are infrequent, and the train and buses are very slow. 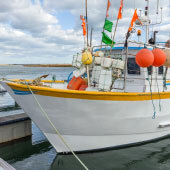 This article discusses all of the options for travelling from Faro Airport to Tavira, and includes details of taxis, private transfers and public transport. 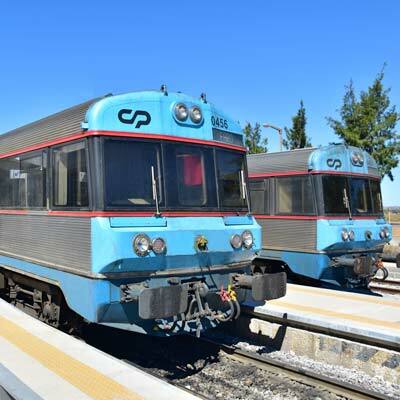 The train and buses services from Faro city to Tavira do not continue late into the night; the last train departure is at 22:06, while the last bus is at 19:30 (correct March 2019 - please check timetable links later in this article). 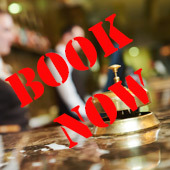 If arriving in Faro airport after 19:30 it is advisable to pre-book a transfer or consider spending a night in Faro, which is a surprisingly pleasant city. Full details of the journey using public transport are found towards the end of this article. Should I just get a taxi to Tavira? No, a taxi hired directly from the airport arrivals lounge to Tavira will be very expensive, around €60. The 2019 daytime taxi rate is €0.94 per km, which increases by 20% at the weekends or night, plus there are luggage and toll surcharges and additional fees for leaving the Faro taxi district. Uber has arrived in the Algarve, but there can be very high demand during the summer season. A much better option is to pre-book a private transfer, which costs €45/90 (one way/return) and the journey takes 35 minutes. Advice: It is worth paying the additional toll fees and travel along the A22 expressway, as the alternative route follows the N125, and passes through central Olhão, which is often clogged with heavy traffic. 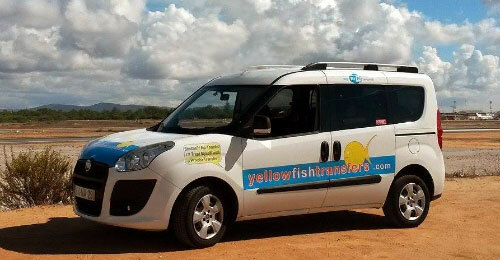 Shared transfers offer a cheaper option than a private transfer, and the fare from the airport to Tavira is €15 - €20. The issue with a shared transfer, is that there are often many drop off locations, and the transfer time can be longer than an hour. Also, if you are travelling as a group of three or more, the cost of a private transfer is comparable to that of a shared transfer. 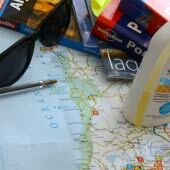 The following section explains in detail how to travel from Faro airport to Tavira using public transport. The first stage of the journey using public transport is to travel from Faro airport to Faro city, where the train and bus station are located. A single ticket costs €2.35 and is purchased from the driver. 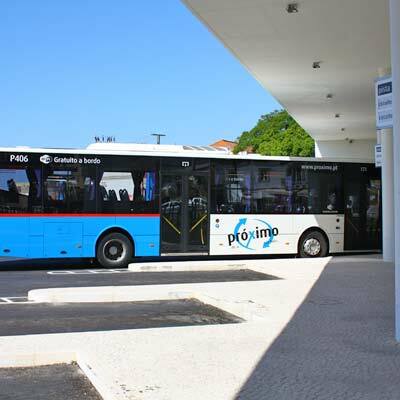 The bus departs from the bus stands to the west of the terminal building (turn left when exiting the arrivals hall) and terminates at the Proximo bus station (GPS: 37.017307, -7.938073) in central Faro. The Proximo bus station is next to the intercity bus station and 200m walk to the train station. A taxi from the airport to Faro train station costs €12-15, and the journey is 15 minutes. The taxi rate for a four-seater vehicle is €0.94 per kilometre, with €0.25 charged per minute waiting (or stuck in traffic! ), and there is a surcharge of €1.60 for placing luggage in the boot. At the weekends or at night (9pm to 6am) the fares are 20% more expensive (€1.13 per kilometre) but the waiting amount stays the same (€0.25 per minute). An eight-seater taxi is much more expensive at €1.21/€1.50 per km (standard fare/night or weekend), and this rate applies even if you are a group of 4 or less. Train or Bus from Faro city to Tavira? 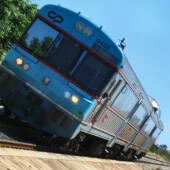 The second stage of the journey takes a train or bus from Faro city to Tavira. The train is the better option, as it is slightly faster (train 35minutes, bus 1hour), marginally cheaper (€3.20 train, €4.35 bus) and is more spacious. Advice: Due to the infrequent departures of the train and bus, a better option is to take the first available service. The train between Faro to Tavira is a slow regional service and (depending on the service) takes between 35 to 40minutes to travel the 30kms. A single adult ticket costs €3.20 and tickets must be purchased before boarding the train from the ticket office. As this is a regional railway, tickets cannot be pre-booked, but there are always seats available. 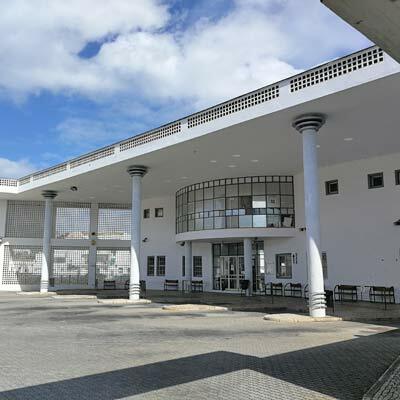 Faro train station is the largest station within the Algarve, but it should be only considered as a small station. There is a ticket office, a magazine stall and not much else (there is no luggage storage). 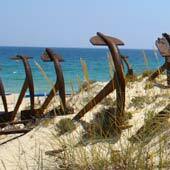 Faro station (GPS 37.019558, -7.940967) is a 5-minute walk from the marina and 200m from the Proximo bus station. 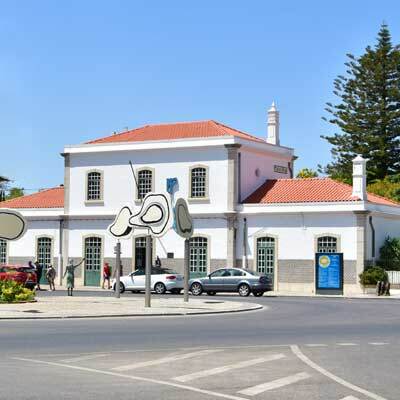 Tavira train station (GPS: 37.121047, -7.655783) is much smaller than Faro station and is located on the southwestern side of the town. It is a 800m walk from the train station to the centre of Tavira, the route is all downhill but is along cobbled streets. A single ticket from Faro to Tavira costs €4.35, tickets are not sold on the bus and must be purchased from the ticket office. Heavy or bulky luggage is loaded into the luggage compartments on the side of the bus. Faro intercity bus station is next to the Proximo bus station, and Tavira bus station is located in the city centre (GPS: 37.127073, -7.652619). 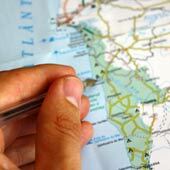 How do we travel from Faro Airport to Tavira? 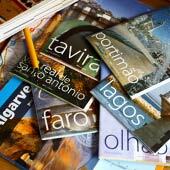 We regularly travel from the airport to Tavira using public transport and this is how we combine cost and time…. Generally, we catch a taxi from the airport to Faro (€10-15), as the bus from the airport is so infrequent. We then catch the train to Tavira but as they are so few daily departures we usually end up having a late or long lunch in Faro while we wait for the train. This transfer may take a couple of hours, but it costs less than €20 for a couple and allows for a nice long lunch. 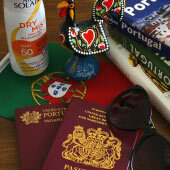 Our key advice is, always book the first flight from your home country to the Algarve/Faro airport. The earlier arrival will allow longer for the transfer and the first flight of the day usually has the fewest delays.